As 2014 drew to a close, the Indian IT industry was rocked by rumours that TCS (the largest Indian IT company by annual revenues) had completed an internal review and had initiated lay offs of thousands of employees - mostly in middle management. Some stories talked about a number as high as 30,000. The saga finally ended with a round of clarifications and denials by TCS and some well-deserved opprobrium over its inept handling of the needless controversy. What the fracas however served to highlight was a stark truth that's been staring at the Indian IT industry for some time now - the skills that the typical Indian IT worker possesses are mostly undifferentiated and prime candidates for automation. What is worse, from at least one perspective, is the fact that (smart) humans have built technology that has becoming adept at "engineering the labor out of the product." One will need to be particularly myopic to not also recognize that "the machines are coming for the higher-skill jobs as well." This much should have been clear in part two of this series, through the examples I cited from Martin Ford's book. 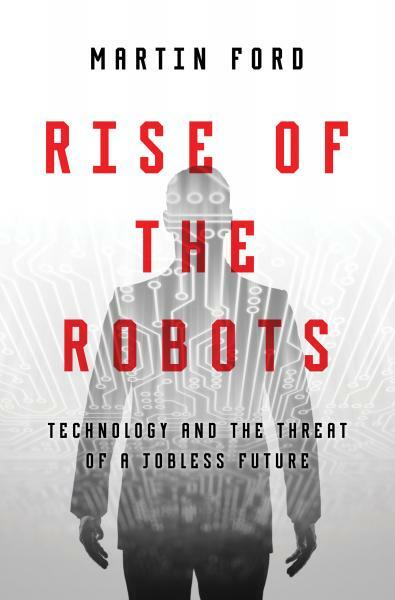 One recurring theme in Martin Ford's book, "Rise of the Robots", at least in the initial chapters, is the permanence and acceleration of offshoring to countries like India, which he believes, "has built a major, nationally strategic industry specifically geared toward the electronic capture of American and European jobs." (As an aside, most Indians would be somewhat puzzled by this assertion, given at times the outright hostility which politicians in India display towards the IT industry, like the time when a former prime minister indirectly accused the Bangalore IT industry of "immoral, unethical and illegal prosperity"!) Anyway, leaving that aside aside, in advancing his argument Ford posits that as "powerful AI-based tools make it easier for offshore workers to compete with their higher-paid counterparts in developed countries, advancing technology is also likely to upend many of our most basic assumptions about which types of jobs are potentially offshorable. Nearly everyone believes, for example, that occupations that require physical manipulation of the environment will always be safe." Ford believes that the development of a digital infrastructure in India and the advancement of AI and related technologies will make things worse for US (and Europe) jobs. True to some extent though that may be, you have to consider the fact that increasing automation makes it cheaper and less labor-intensive to maintain, run, and patch-and-upgrade software applications. Furthermore, any offshoring of jobs adds its own overheads by way of administrative and managerial redundancies that cannot be done away with. Automation efficiencies reduce the need for labour, which is the often the single biggest component in any software application over its entire life. Therefore, the very factors that Ford fears are threatening to make offshoring permanent and more widespread are also likely to make reshoring financially viable. It's a sword that cuts both ways. To be fair, the digital economy in India has a lot of headroom to grow; especially as the Indian government's Smart City initiative brings e-governance and services to the common man through the Internet and technologies. This could well provide a second wind to the Indian IT industry for a decade or more. However, it is a smart strategy to keep one eye on the what the winds of such a digital nirvana may blow in. An indicator of the direction in which the Indian IT job market is likely to evolve therefore can be found by looking at the US, where the "propensity for the economy to wipe out solid middle-skill, middle-class jobs, and then to replace them with a combination of low-wage service jobs and high-skill, professional jobs that are generally unattainable for most of the workforce, has been dubbed "job market polarization."" This phrase - "job market polarization" should give us a fair indication of what is in store for the hundreds of thousands, even millions, of graduates in India, many of whom emerge today out of college with a stark degree of antipathy for doing the "9-5" grind that they saw their parents and its generation go through. Digital "start-up" nirvana beckons for them. Each sees himself as a digital entrepreneur of the new economy. They are ready to chuck the "dependable income stream that anchors them into the middle-class" - they view it not as an "anchor" but more a millstone. However, the vast majority is likely to find itself stuck in what "techno visionary" Jared Lanier calls the "informal economy that is found in third-world nations." It's a tiny minority that will "live at the extreme left of the long tail" of such a digital economy. For every Flipkart or SnapDeal (the final word on that fairy-tale saga is yet to be written), you will find tens of thousands of resellers at the other end of the payoff tail, paying these e-tailers money every month for the privilege of selling on their platforms, at prices that barely cover operating costs. The Indian middle-class, for all its flaws, has represented for decades an aspirational lodestar for the vast majority of the country's poor. So what happens when the digital economy hollows out the middle of the job market - "job polarization" as described above? Again, we can look westwards for possible answers. "In an analysis published in February 2014, MIT economist James Poterba found that a remarkable 50 percent of American households aged sixty-five to sixty-nine have retirement account balances of $5,000 or less. According to Poterba’s paper, even a household with $100,000 in retirement savings would receive a guaranteed income of only about $5,400 per year (or $450 per month) with no cost-of-living increases, if the entire balance were used to purchase a fixed annuity." In other words, in the absence of both a retirement corpus and a government guaranteed pension, there is a real risk of an emergent middle-class sliding right back into the working poor or even the underclass - a recipe for social unrest. An inevitable counter-argument to all this unease generated by the "rise of the robots" is the "humans are underrated" palliative. Championing this is Tom Davenport (of "Competing on Analytics" fame) who now talks of "amplified intelligence" (which unfortunately has more the stench of a seo-optimized buzzword than anything substantial at this point) - where "smart" humans work to "augment" "smart" machines. Then there is also Geoff Colvin, who penned the insightful 2008 book, "Talent Is Overrated", and who has returned with "Humans Are Overrated". I have yet to read Colvin's latest book, so judgment day is reserved on the book, but to Davenport's argument, some of the evidence suggests an easy refutation - "In his 2007 book Super Crunchers, Yale University professor Ian Ayres cites study after study showing that algorithmic approaches routinely outperform human experts. When people, rather than computers, are given overall control of the process, the results almost invariably suffer." In many fields where algorithms rule the roost, to argue for human "augmentation" or "amplification" is no better than to argue for more cooks to brew the broth - we know that aphorism, don't we? In ancient India there lived four friends. Three of them were very learned, while the fourth was a simpleton, even considered a fool. The four decided to go to the capital and seek their fortune from the king. Along the way, while passing through a jungle, they came across the bones of a lion long dead. The first friend used his knowledge to assemble the bones into a skeleton. The second friend used his skills to fashion a skin over the skeleton, while the third prepared to bring the lion back to life. At this the fourth friend - the simpleton - warned his other three friends of the perils of doing so, and was roundly rebuked by the three, wiser friends. The simpleton again warned them and upon being ignored, climbed a tree for safety. The third friend used his knowledge to breathe life into the lion. I don't need to tell you how this tale ended for the three wise men. And I will end here. This was first published in PerformanceGurus on 8th August, 2015.